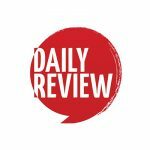 How to save the arts on Friday's National Day of Action | Daily Review: Film, stage and music reviews, interviews and more. This Friday, June 17 has been named the National Day of Action by Australia’s National Association for the Visual Arts (NAVA) and several arts lobby groups. The day is in response to: “the recent Australia Council funding results, the lack of consultation around changes to arms length funding, and lack of arts policy in federal election policy or ‘innovation agenda'”. The arts sector announced its plans today at an event in Sydney featuring arts heavyweights Elizabeth Ann Macgregor (Director of the Museum of Contemporary Art) and Patrick McIntyre (Executive Director of Sydney Theatre Company). There are a range of actions planned, from a protest outside the Prime Minister’s office in Edgecliff, through to a banner drop on the facade of a “very prominent arts building” in Melbourne, and a “DO read the comments” campaign, encouraging artists and arts lovers to explain the value of the arts and strong funding on online news sites. A full list of actions for the day is available here. Arts lovers are also encouraged to sign a petition to be delivered to the Arts Minister, Senator Mitch Fifield. NAVA has even crafted a template letter for you to send to your elected representatives. The July 2 Federal Election is just around the corner, and the government is conspicuously without an arts policy. There’s no better tim to make your voice heard. Support unions that can make a difference the CFMEU, ETU, AMWU, Firefighters, and get a decent wage for artists because we are workers too. All unions get off their electoral asses and call workers out to bring the country to a halt until we reinstall democracy, penalty rates, and honestly a real income for art workers, cause that is what we are! Frankly , Scarlet, I could not give a damn.